Switched At Birth has always been better at character than plot, so when a show is in the midst of several plot-heavy threads at once, an episode tends to miss here or there. “We Are The Kraken Of Our Own Sinking Ships,” despite having one of the best names in episodic television history, was unfortunately a fairly big miss. The main issue with both Bay and Daphne’s storylines right now is that they are painfully predictable affairs, with even the always-thoughtful performances not enough to rise above the cliché. After Daphne’s big kiss with Jeff last week, things almost take an interesting turn when Jeff tells her they can’t kiss ever again, but this is immediately (and predictably) undercut when he can't help but kiss her right away. By the end of the episode, Daphne’s relationship with him is no longer a secret in the kitchen, and now, she must deal with how her colleagues will treat her now that they know. It’s an important lesson for her to learn, but the show takes the angle of having Jeff explain this to her, essentially making him not only her boss and her new boyfriend but an older, wiser person teaching her the ways of the world at the same time. There is already a power imbalance inherent in their pairing, so adding this on top of it is fairly close to condescending. Bay is also lost in her own little slice of predictability, as her newfound embrace of her art is leading her closer to Zarra’s world and further away from the guidance of her parents. John and Kathryn recognize that they’re losing her and decide to attempt a distraction tactic to see if they can steer her back on course, inviting her summer boyfriend Alex and his overachieving parents over for dinner. Bay ends up ditching the dinner completely and begging Alex’s help when Zarra calls from jail, asking Bay to gather up $1,500 to bail her out. Bay ends up stealing the money from her father’s business (where she runs into Travis, who is sleeping there, in a more interesting thread that’s sure to turn up again later) and bailing an evasive and unrepentant Zarra out, along with Zarra’s friend. It’s Bay’s first lesson that she’s not truly part of Zarra’s world, and Zarra knows it, and this lesson will surely haunt Bay as soon as John finds out she stole the money. The main offense of this story is that it was so easy to see how it was going to play out the second Bay met Zarra. Of course Bay was going to rebel and become friends with her, and of course it was going to put Bay in an untenable situation. It’s just a shame that the situation is turning out to be so terribly common. But although Bay’s sojourn into grand theft—and taking Travis and Alex along with her—was a low point of the episode, John and Kathryn’s involvement in her story was a highlight. After having a bit of a shaky run in the second cycle of season one, they’ve been nothing but great these last few episodes, and it continued tonight with their attempt to get Bay back on track and their subsequent terror when realizing how different their children are from overachieving, college-focused kids like Alex. Their scenes have consistently been quiet but powerful, laced with a relatable anxiety that speaks to parents everywhere. 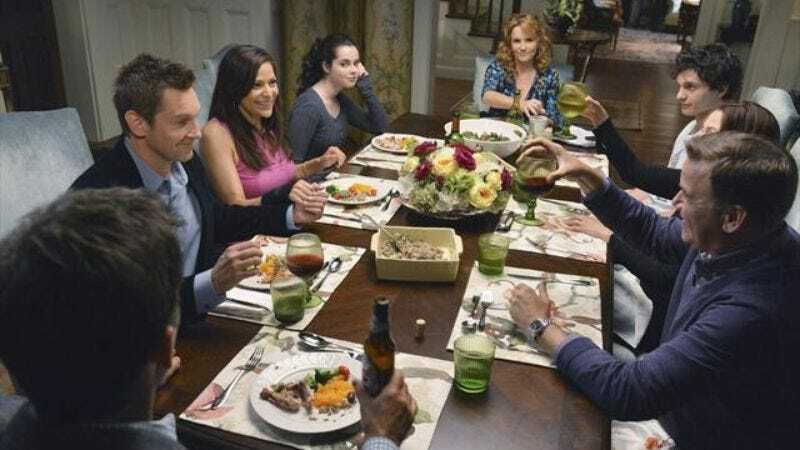 It’s strange to feel like the adults are getting some of the best material to play on a show like Switched At Birth, but lately, that’s precisely what’s been happening. Aside from John and Kathryn, the saving grace of this episode was Toby and his unexpectedly touching scenes with new friend Nikki. This is the one story that truly felt like it developed in a surprising way, as instead of Nikki and Toby becoming romantically involved, she reveals she has a boyfriend, and then tells Toby the story of her father’s murder and how she scraped herself off of the floor after hitting rock bottom. It’s not really a fair comparison to have Toby’s recent funk be put on the same sort of level as hers, but the fact is the song she sings for Toby and the story she tells touches him, and inspires him to change. And when in a lovely little episode tag he goes to Emmett and mends fences, asking him to start another band together, it feels earned. Toby and Nikki might still get together in the future, but this little left turn, a sojourn away from the expected path, is what will make them work if it happens. 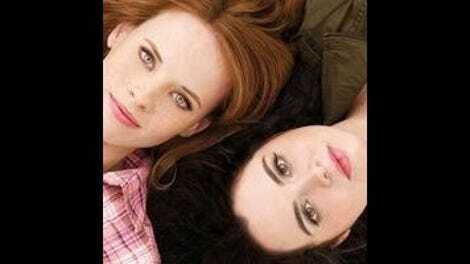 The more unexpected little twists like this, the better the plots on Switched At Birth will end up being. Carrie Wikis Some Art: We Are The Kraken Of Our Own Sinking Ships, David Nixon, 2012, acrylic on canvas. Best titled painting ever? Regina’s breakup with Patrick (again) felt completely unnecessary. Instead of wasting our time with this, what about her mentoring Simone? That was actually leading somewhere interesting and then kind of disappeared. Bay’s Galapagos boyfriend Alex is fairly adorable, if bland. If he became a legitimate love interest for a while, it wouldn’t be terrible. Boring, perhaps, but boring might be what Bay needs right now.